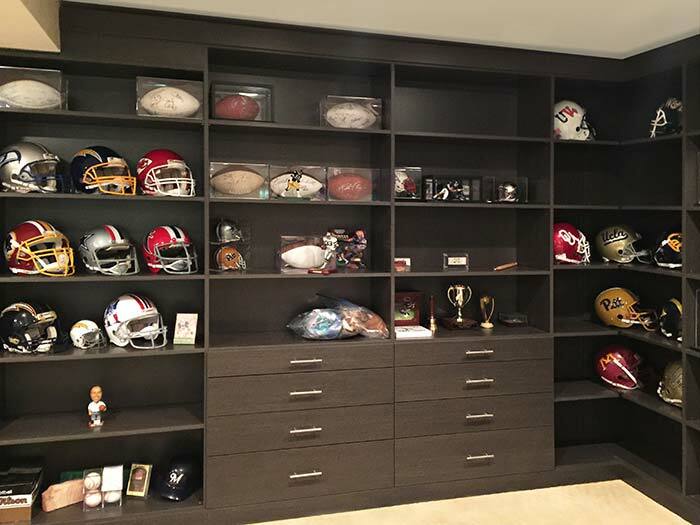 Custom book cases and wall units can be a great start to the perfect man cave! 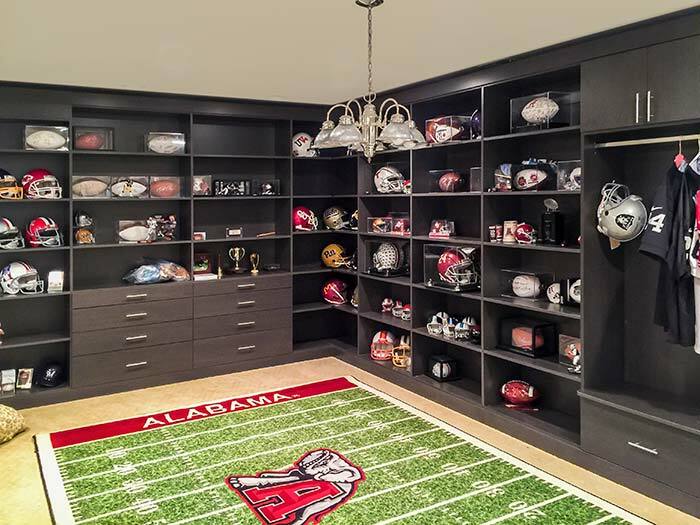 Closet Works designed this basement wall unit to hold trophies, helmets, autographed footballs and jerseys for a die hard football and sports fanatic. All of the carefully collected the memorabilia is on display in custom shelves and cabinets that span two sides of the room. There's plenty of space in the center to position a comfy sofa along the 50 yard line facing a wall with a big screen TV.